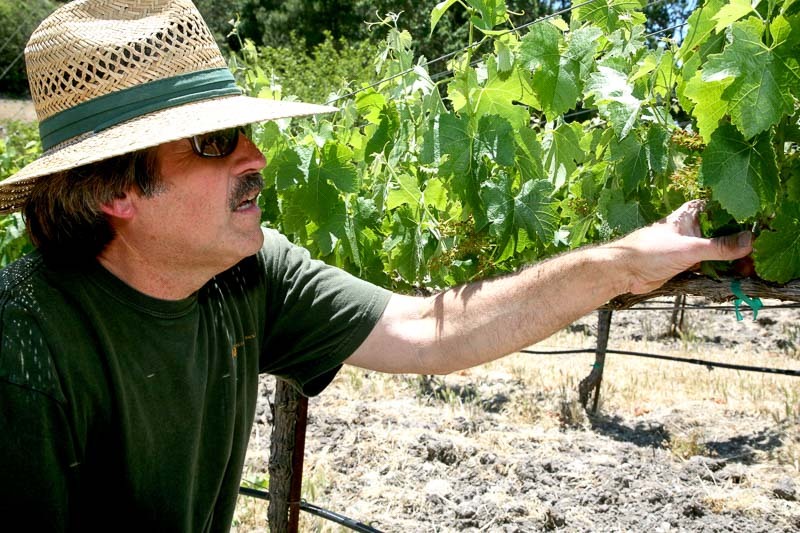 Carl Bowker, a relative newcomer to the world of winemaking, has followed a long yet steady path towards his goal of producing special wines. Born and raised in Hawaii, Carl began his farming experience while tagging along with his father, an irrigation specialist to the local farms. This early introduction left a lasting impression and true appreciation for soils and the farming life. Little did he realize that this childhood curiosity would lead him to the special soils of Paso Robles, California. Upon graduating from the University of Hawaii, Carl left for California to join the corporate world. His entrepreneurial spirit took flight soon after when started his own company and later, other ventures. After several decades he decided that a desk job was not for him and he began the pursuit of his passion for special wines. As with many pioneers before them, they chose Paso Robles, California due to its soils, microclimates, and upside potential for growing world-class grape varietals from the Rhone Valley region of France. Carl’s affection for wine turned into an obsession shortly after September 11, 2001 during a visit to Europe. It was there that he expanded his appreciation for world class wines and for what the land could produce. While there, Carl and his wife Pam got to spend time with many of the regions’ finest wine producing families. He attentively listened to the details of wine production and noticed the special connection the families had with their land. From this experience, Carl vowed that he would make this the way of living life for himself and his family. Upon returning from Europe, the search to locate a vineyard property to grow superior wine grapes ensued. As with many pioneers before them, they chose Paso Robles, California due to its soils, microclimates, and upside potential for growing world-class grape varietals from the Rhone Valley region of France. With his desire to become a winemaker and viticulturist Carl attended Napa Valley College’s Viticulture and Enology associate program and completed it in 2004. With all things moving toward the vision of producing special wines, Carl and Pam ventured to the Rhone Valley of France. It was there that the die was cast. It was to be old world wine in the new world that he would make. Deep, opulent and complex Syrah of the Northern Rhone, Grenache-based blends of Chateauneuf-du-Pape and Viognier-based white wines were what would be produced at the family’s Caliza Winery in Paso Robles. In 2005 the quest ended and the vision began when Carl and Pam planted their 20 acre hillside vineyard. Located on Anderson Road in the famed Templeton Gap on the Westside of Paso Robles, the warm days are met with the cooling evening influences of the coastal marine breezes. The Bowkers, with their new vineyard, found themselves in the company of cutting edge winemakers and their respective vineyards. A stone’s throw to the Northwest is the highly respected Stephan Asseo’s L’Aventure Winery, to the East is Booker Vineyards whose fruit is used in many fine wines such as Saxum, Villa Creek and Booker Vineyard’s own label. The name Caliza came from a desire to link the winery to its surroundings. After days of suggestions, a brief search yielded the Spanish word for limestone. Being that Caliza lies on a thin band of limestone running along the Santa Lucia mountain range, it was a natural choice.